Send A Message To Dr. Van Blyderveen. 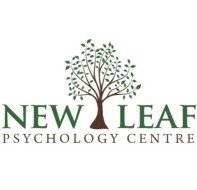 The associates at New Leaf Psychology Centre represent a diverse range of experience and expertise, working with clients throughout the lifespan (toddlers, children, teens, and adults). The therapy approach chosen reflects each clients developmental stage, with a greater emphasis on behavioral strategies for younger children, and a greater emphasis on both cognitive and emotional based approaches for youth and adults. Although this philosophy guides the initial approach to therapy, therapy is always personalized and therapists will account for your preferences and treatment goals.